Taking a brief intermission, this email* is doing the rounds, and I thought some of you might be interested. *Edit: I now see it was taken from Leon Daniels’ blog. Last night we carried out a test designed to demonstrate the feasibility of running a steam locomotive on the London Underground for its 150th anniversary in 2013. Locomotive Met no 1 and the Metropolitan first class ‘Jubilee’ coach 353 are currently being restored and fundraising is underway. Restoration of both vehicles is progressing and the London Transport Museum is overseeing both the fundraising and the restoration projects. To have a working steam locomotive on the Underground presents significant challenges and last night after end of traffic a special train undertook some proving runs. Beattie 30587 was the steam locomotive used. It is owned by the National Railway Museum and was built in 1874. It was coupled to 1923 Metropolitan Electric loco ‘Sarah Siddons’ which provided a viewing platform, and between two battery locomotives and wagons carrying water and coal. It left Lillie Bridge depot after 0100 and ran from Earl’s Court at 0135 via the District line to Edgware Road. After a stop it then proceeded to Baker Street. At Baker Street the loco was run with protracted steam venting whilst heat and smoke levels in the station were tested. Later it shunted east to west and ran back to Edgware Road. Other trains – composed of S stock and C77 stock – ran around the steam loco train testing the effect on passing trains. With the tests complete the train ran back to Lillie Bridge via Earl’s Court. All went very well. But the sight and sound of a steam locomotive on the Underground was pure magic. It is, of course some 40 years since there was any steam propulsion on the Underground and then of course for engineering/permanent way reasons. The last passenger train hauled by steam here was in 1905. A truly historic night out! As usual at this time of year, I deflected potentially unwanted presents of socks, smellies and chocolates (as a 7mm modeller shouldn’t that be pipes, slippers and cardigans?) by drawing up a list of books and distributing it to my nearest and dearest. 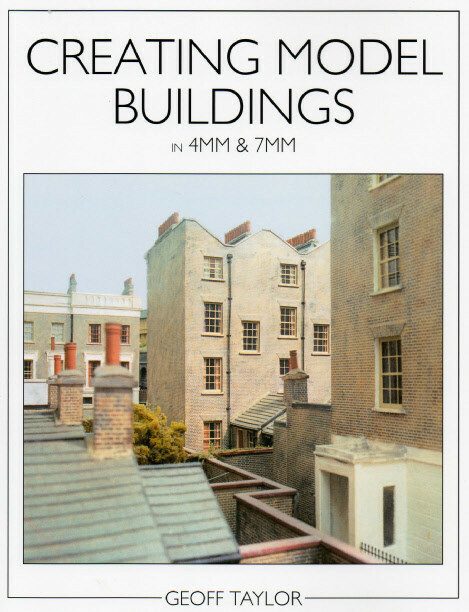 Among the gems chosen by relatives who have long been in the know that I like nothing better than to sit in the comfy leather wing-back with a good book and a glass of red, appeared Geoff Taylor’s treatise on creating model buildings. I’ve read most all of Geoff’s articles in the MRJ and BRM, and have long been an admirer of his work, and he’s also got a fab website which shows off his immense skill to perfection, so did I really need this book? Of course! Wild Swan books are always gorgeous in their execution and this is no exception. So far I’ve only flipped through for a quick scan of the photos, and I’ve skimmed the first chapter, but with the enormous quantity of brickwork to be modelled on Basilica Fields, I can foresee that it will end up as dog-eared as my copy of Martyn Welch’s treatise on the art of weathering. 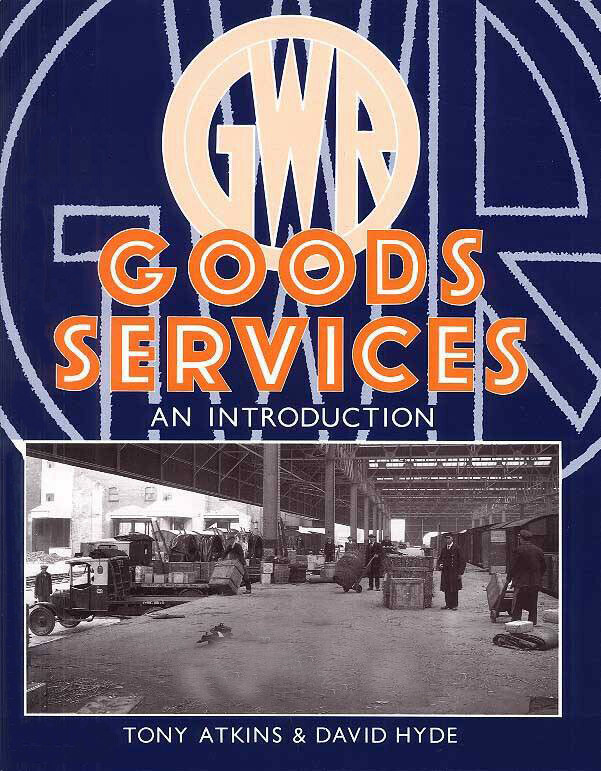 Of all the books received, only one other has any direct relevance to Basilica Fields, and it’s another Wild Swan offering, though some ten years since first published – Great Western Goods Services: An Introduction by Atkins and Hyde. I’ve had Part 2A for some time and found it very useful piecing together some of the GW’s services to and around Smithfield via the Metropolitan. Although I’ve not yet had time to do more than flick through this one, much of what I’ve seen appears to deal with the background to, and is an analysis of the company’s goods services, and there is a chapter on the RCH as well as a précis of the goods districts, including London, which is expounded upon in Part 2A. I’m very much looking forward to Part 3 which promises to delve into the workings of the GW dockyards. A recent birthday brought in another influx of relevant books, amongst them a trio of Middleton Press titles, seen here with one already in my collection. Apart from the one on the East London Railway, Liverpool Street to Ilford, Liverpool Street to Chingford and Fenchurch Street to Barking all seem to have little in common with the Extended Circle and Widened Lines to Basilica Fields. However, they are very relevant indeed, as the backdrop to the layout will be the great viaduct carrying the Great Eastern’s Main and Suburban lines out of the Capital. 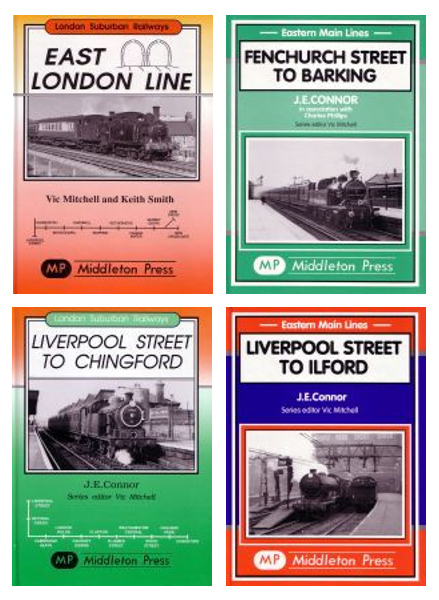 Liverpool St. to Chingford has some useful photographs of Bishopsgate Goods and Bethnal Green station. Although the line to Chingford branches off at Bethnal Green, there are some very useful photographs of various stations on the line showing the GER 1870s style of buildings and canopies. Completely off topic, but there’s a fantastic photograph of an M15 class 2-4-2T pulling into Clapton with a down train. It’s a very murky image, but packed with bags of atmosphere. 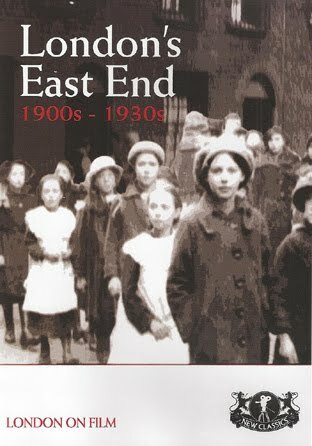 Liverpool Street to Ilford has more immediate relevance, again there’s lots of useful photos of Bishopsgate, Bethnal Green, but more importantly, Coburn Road, which was virtually identical to Basilica Fields. One very useful set shows the 1870s canopies being removed with the skeletal structure still in situ. Fenchurch Street to Barking seems an odd choice as it’s not even the right line, but Cable Street coal depot was very similar to Seething Friars coal depot which is a couple of segments down the layout (and therefore at least a decade hence). 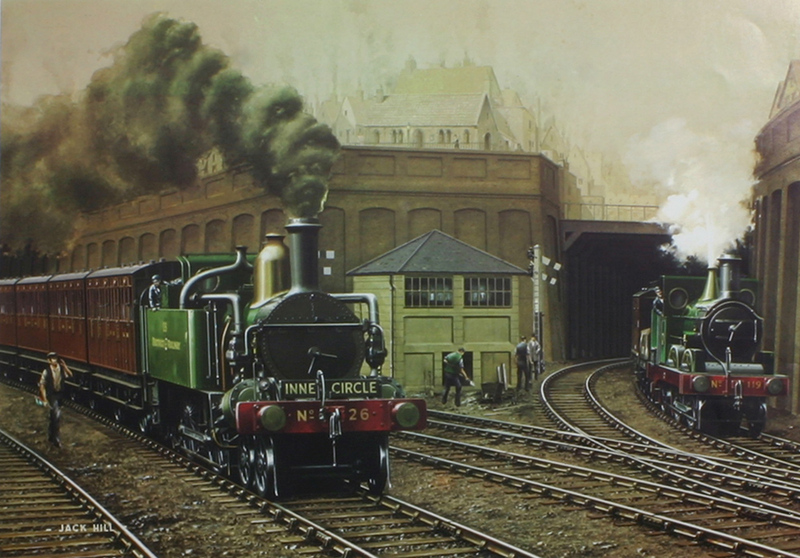 The East London Railway is obviously very relevant; the raison d’etre of the Extended Circle and Extended Widened Lines was to relieve the ELR which was working to capacity, and help introduce further passenger and goods services by the various Companies involved, to and from either side of the Thames. All are currently £15.99 RRP. Thought this might be of interest. The footage between 1.14 and 2.12 is taken from Farringdon looking towards Ray Street Gridiron.